THE ONLY PLACE IN THE WORLD YOU CAN FLY IN A LANCASTER and many more including B-25 Mitchell, Fairey Firefly and PBY Canso. 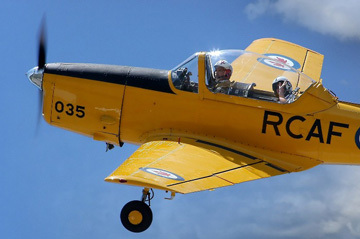 Whether reminiscing about days gone by or looking for that unique adventure, a flight in a Canadian Warplane Heritage Museum aircraft is certainly a thrill of a lifetime! In person at the museum's Admission desk - best to book in advance! If you are traveling from overseas by air, please check with your travel agent or click for details on the Electronic Travel Authorization that may be required. For further information, contact Laura Hassard-Moran, Flight Coordinator, at 905-679-4183 ext. 236 (Tuesday to Saturday 8 am to 4 pm) or lhassard@warplane.com.